It’s an unfortunate reality that some CEOs struggle to get past the perceived high cost of marketing. For marketing teams that need to earn the confidence of their leadership team and get executive buy-in, data can be a powerful tool to change that perception. Using revenue-focused marketing KPIs, you can demonstrate the value of your team’s efforts while staying aligned to overall business goals. Consider the following ten metrics a starting point for building out your executive report. 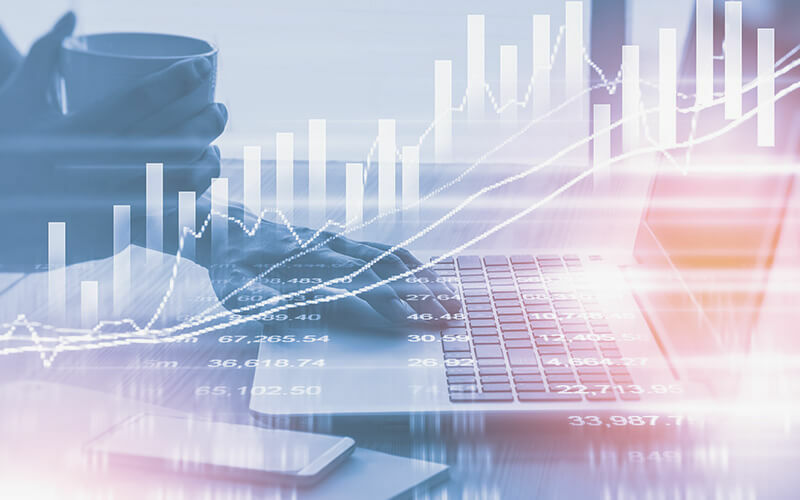 Depending on your company’s business model and any specific objectives you’re trying to accomplish, you may find that some metrics are more valuable than others. As you’re developing and executing your marketing strategy, you want to make the most of your team’s resources. Breaking out your leads by channel—social media, paid advertising, emails, inbound marketing, content downloads, etc.—can show you where you’re getting the most bang for your buck. Having a high lead count is great, but if they don’t convert to closed deals, you’ll have wasted time and money in trying to attract and sell them. 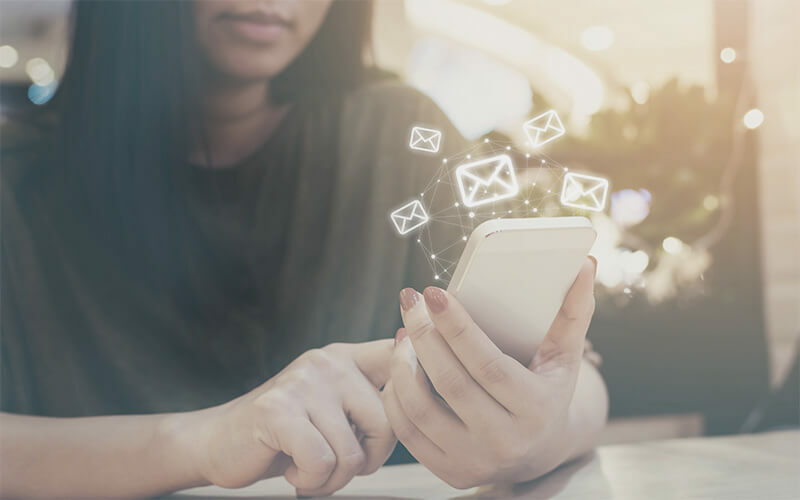 You want to attract the right audience through your lead generation efforts—that is, qualified leads who are likely to purchase your products and/or services. Bounce rate can tell you whether you’re attracting the right visitors to your site. Later in the funnel, your MQL:SQL ratio can show whether your sales team is able to successfully qualify the leads you’ve given them. Isolating conversion rates for each stage of your marketing funnel gives you insight into the customer journey. You may find that there are leaks at certain stages, causing you to lose potential revenue. Each company’s funnel will look a bit different, but you will find a couple metrics below to help get you started. For a detailed look at customer acquisition stages, check out our ebook, Lead to Loyal: 6 Steps to Mapping Your Customer Acquistion Cycle Using Your Salesforce Data. Similarly, your landing pages will be key conversion points for many customers. Tracking the success of these pages so you can test and refine them is critical. In addition to tracking conversion rates, you can analyze cost at each stage of your funnel to better understand where you’re losing potential revenue. It may also be useful to compare cost per funnel stage by channel, so that you can see where your best opportunities are coming from. Remember, however, to keep quality in mind—a channel with a low cost per lead may come back to bite you when they fail to convert later in the funnel. One particularly important metric here is customer acquisition cost, or CAC. This number calculates the total marketing and sales investment required to obtain a new customer. CAC is a key indicator not only of the marketing team’s performance, but of the business as a whole. Not all customers are created equal, which is why it’s so important to calculate your customer lifetime value (abbreviated LTV or CLV). Calculating LTV by channel can help you determine which acquisition channels are producing the most profitable customers, so that you can adjust your marketing campaigns to target those types of customers. It can also help you refine your retention marketing plan. When you think about it, your LTV:CAC ratio is just one way of looking at your overall marketing ROI. If the cost to obtain a customer (your CAC) is higher than the total revenue that customer will provide your business (your LTV), you know your strategy is unsustainable in the long term—you’re spending your profits before you earn them. A typical benchmark investors use for LTC:CAC is 3-5x. In the early stages of your business, you may have to accept a poor LTV:CAC as you build up your customer base, so take advantage of as many low-cost marketing strategies as you can during this time. Although marketing will likely account for a large portion of customer acquisition cost, it may be helpful to show the actual breakdown with your executive team, especially if your company includes all operating costs as part of CAC, rather than just sales and marketing. Changes in M%-CAC can provide useful insight for your team, but remember to consider various factors that could cause it to increase or decrease: Did sales miss quota? Did a new marketing initiative increase cost but provide better lead quality? Etc. If your company uses other customer acquisition strategies, such as outbound sales techniques, you may find it useful to calculate marketing-sourced and marketing-influenced pipeline. Marketing-sourced pipeline shows all leads generated by marketing while marketing-influenced pipeline includes all leads that were nurtured by marketing at any point in the sales cycle. Because revenue growth is such an important metric for CEOs, it’s important to calculate these metrics by count and by revenue value. Marketing-generated revenue takes marketing-sourced pipeline to the end of the funnel, calculating the total revenue from closed-won deals that originated as marketing leads. This metric is particularly impactful as it demonstrates your team’s alignment to company-wide goals and the overall health of the business. Marketing ROI, or MROI, is perhaps the most important marketing KPI, particularly when it comes to reporting to the CEO. MROI shows the impact of every dollar marketing spends, which can help a cost-sensitive CEO see that marketing is (hopefully) multiplying their investment. You can also use MROI when determining budgets, setting marketing goals, and planning future strategies. No matter which metrics you choose, remember that revenue growth is one of (if not the) most important metrics for CEOs. The best way to earn their confidence is to show that you are aligned with their objectives, so keep revenue and ROI in mind with every data point that you share. Marketers know better than anyone that a picture is worth a thousand words. This principle is as true with data as it is in advertising. Because marketing teams deal with so many different data sources, it can be challenging to calculate the numbers, much less come up with a compelling visualization. That’s where a business intelligence platform like Grow can help. 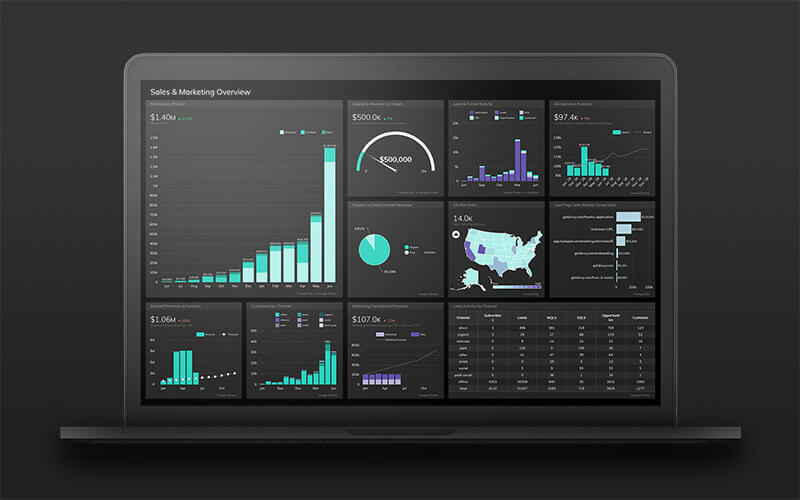 By automatically pulling data from multiple platforms into a single dashboard, BI helps marketing leaders unite all key performance indicators in one place, without the arduous work of switching between tools and manually building reports. 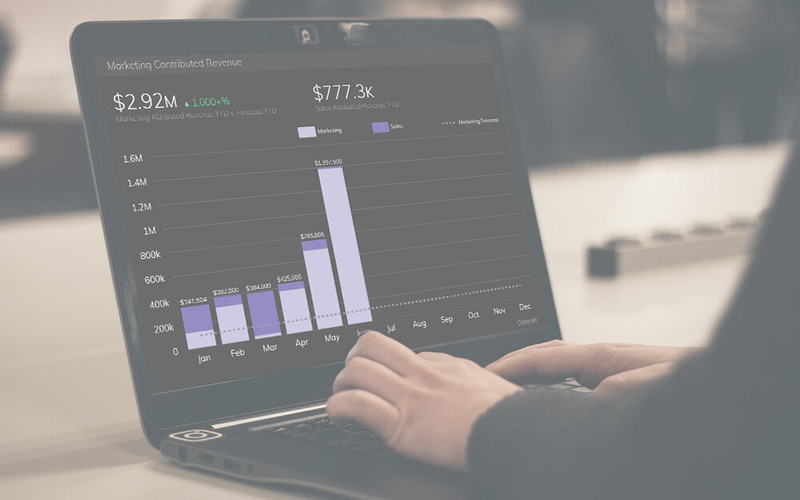 With clean, beautiful charts, Grow dashboards help you make an impact with data and drive your story home.